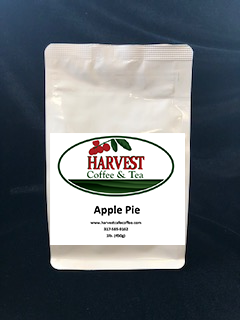 Tastes of straight-from-the-oven apple pie. Natural and Artificial Flavors. Tastes like farm fresh blueberries swimming in a rich light cream. Natural and Artificial Flavors. One sip of this rich, sweet, butter rum flavored coffee will make you want to share the moment with someone special. Natural and Artificial Flavors. This flavor is buttery with a touch of chocolate. Natural and Artificial Flavors. Rich in chocolate and the sweet tartness of cherry. Like biting into a chocolate covered cherry. Natural and Artificial Flavors. 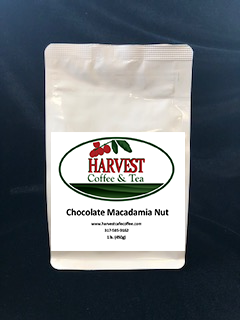 If you close your eyes, you can taste the milk chocolate covered macadamia nuts. Natural and Artificial Flavors. Caramel and nuts covered with milk chocolate. It tastes just like the cookies grandma made in her kitchen. Natural and Artificial Flavors. If you closed your eyes and took a sip of this delightful coffee, you would think you were on the beach somewhere in the Florida Keys. Natural and Artificial Flavors. Creamy French vanilla dessert with a lingering richness and a hint of caramelized sugar. Natural and Artificial Flavors. Sweet, creamy & smooth vanilla with a lingering richness. Natural and Artificial Flavors.